You probably agree that employees deserve to be recognized for their achievements at work, and in their personal lives. 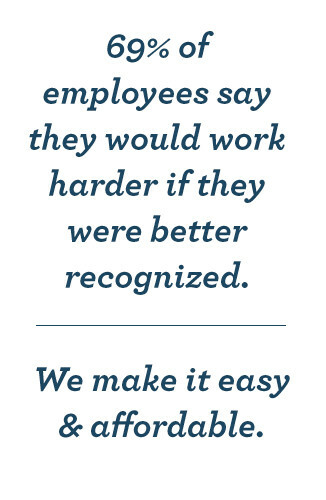 Showing recognition can strengthen the bond between employee and employer, and this is beneficial for everyone. It only takes a few minutes to let an employee know that their achievements were noticed, and it doesn’t have to be difficult. Recognizing an employee’s accomplishments is easy, with any one of these unique awards from Successories. This beautiful clear glass vase looks stunning empty or filled with flowers. The front surface is ideal for engraving any number of inspirational or motivational messages. 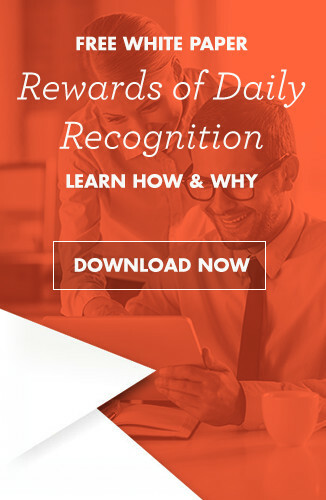 It is the perfect way to recognize an employee’s achievements, and provide motivation to others. One of the most popular award trends this year is to recognize outstanding service and achievements with a lapel pin. The elegant design of the pin makes it one employees will be proud to wear. There are several styles to choose from, designed to fit any special occasion. A presentation box can also be added. Bring employees together and recognize outstanding achievements with this stunning framed print. The photo of the glorious sunrise reminds everyone that new things can be accomplished every day. The black frame contrasts beautifully against the white mat that is ideal for everyone on the team to sign. This way everyone can participate in the celebration. The classic image of the mountain climber symbolizes perseverance and excellence. The brief motivational message will provide inspiration to everyone that reads it. This award is a breeze to create with the office inkjet or laser printer, and with 100 sheets of paper it is easy to personalize one for every member on the team. This stunning awards plaque makes it easy to recognize an employee’s outstanding achievements. Whether it is for their job performance, volunteer services or simply recognizing a well-deserving employee each month, this plaque is the perfect way to show recognition. There are 12 openings for photos, along with areas for signatures or job descriptions. However, it is used any employee featured will feel like they are a valued part of the company. Employees won’t mind watching the time with this stunning crystal clock. The wedge shape gives it a contemporary flair, while the optic crystal ensures that it looks elegant sitting on any desk or shelf. The quartz clock keeps precise time, and the side can be engraved with a personal message of thanks and recognition. A gift box can also be included to make the presentation more memorable. Thanking employees and showing recognition for their successes is easy with this beautifully framed desk top award. The soaring birch trees will remind employees to keep reaching for new heights. There is also a black brass plaque that can be engraved with the recipient’s name.